These seasonal edit posts have become a huge favourite of mine this year. 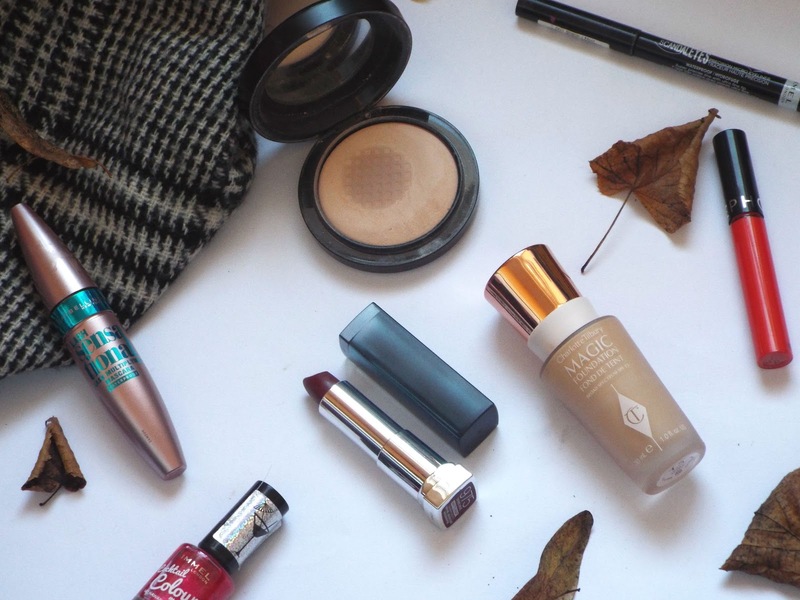 Last week I did an Autumn Edit: Skincare post which you can have a read of here. Today we are talking all things beauty which excites me hugely. 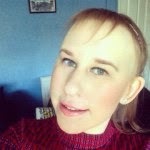 I took me a good few days to formulate what products I wanted in this post, but I got there in the end! The Maybelline Lash Sensation Mascara has been something I wanted to pick up for ages, and when my beloved Maxfactor False Lash Effect ran out I thought it was finally time to branch out. It's so hard trying to choose a new mascara as there are so many out there on the market. I am super happy with this as it adds lots of volume and length which is exactly what I need. I have the waterproof version which is an added bonus. This is my third MAC Skinfinish Powder as I just cannot find anything which compares to this. I wear the shade Medium which is a brilliant match for my skin. It is not too heavy on the skin, and it is build able depending on individual preferences. It has a finely milled texture meaning it is breathable, and helps to set my base makeup really well. One of these powders lasts me about 6 months, I also love that it has a mirror in the packaging as it is just so convenient. 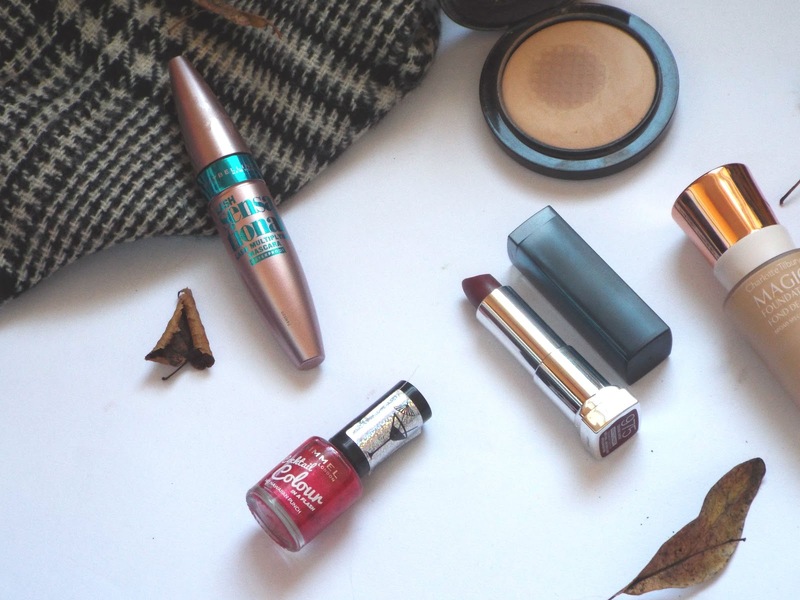 Autumn screams berry shades to me, and this Maybelline Lasting Sensations Lipstick in Divine Wine is the perfect addition to anyone's lipstick collection. It is not too dark as that is what worries me about darker shades, as I have a pale complexion and I think some lipsticks can be too overpowering. You do have to keep up with applying this, especially after eating as it fades a little bit due to it being a matte finish. I think this range is a really good drugstore range for matte lipsticks, I just wish they would expand the range a little bit more. Rimmel Cocktail Colour Nail Polish in Hawaiian Punch (not available online) is a lovely dark pink with shimmer, it has a red undertone which is what I like and it seems more season appropriate. The formula is quite thick and I only need one layer, which is such an advantage as I don't particularly enjoy painting my nails! I think this colour however is very versatile for both day and evening. The Charlotte Tilbury Magic Foundation has featured in quite a few recent posts over on my blog. It has now become a firm favourite and I think it is really great for the a Autumn season as it is a medium-high coverage which is what I like for the colder seasons. This has a really good lasting power, when used with a good base and a primer. Sephora Lip Cream in Manderin Muse just had to feature in this post. This is my favourite lip product of the moment, the formulation is sensational. It is so pigmented with just one application, and I actually really love how bright and bold this is. I think orange is lovely for this season and adds a pop of colour to a simple golden eye look. If there was a Sephora in the UK I would definitely have every shade from this range. It is one those products that until you have tried them, you can not quite understand how amazing they really are. I have a love/ hate with eyeliner, and I am very particular with what I use. I have tried both pencil and gel before and I have always gone back to liquid as it is what I find easiest to use. I have always headed towards the drugstores for eyeliners and this Rimmel Scandal Eyes is by far the best of the bunch. It has a really thin nib which is what I always look for. I always want something which is going to make precision as easy as possible. I also want something long lasting as I don't want it flaking off as the day goes on.